But I hope that for the next outing the filmmakers stop trying to outdo their predecessors and instead return the series to its roots. I don't want to see the ghost. I don't care where it comes from or why it's haunting them. The more you know about something the less scary it becomes. 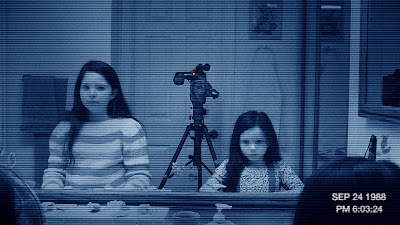 In "Paranormal Activity 3," perhaps we know too much.